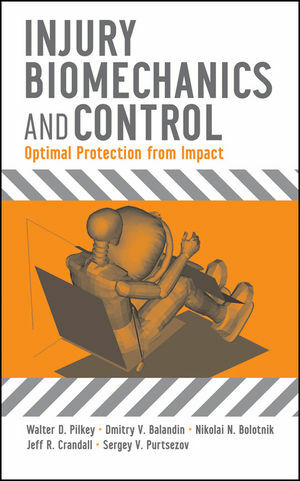 With this book as their guide, readers will discover how to design better protective equipment and devices such as helmets, seat belts, and wheelchairs in order to minimize the risk or the extent of injury to people subjected to impact loads. It is based on the theory of optimal shock isolation, first developed in the 1950s to protect missile systems from intensive shock loads. Using examples from automotive, aviation, and military areas, the authors demonstrate how optimal shock isolation theory enables designers to improve the performance of protective equipment by incorporating control and optimization methods developed for shock isolation systems. The second part applies the principles set forth in the first part to solve real-world problems, using simple mathematical models that simulate the mechanical response of human bodies to impact loads in order to optimize shock isolation systems. This book enables scientists, engineers, and students in mechanical, biomechanical, and biomedical engineering to fully realize the potential of shock isolation methods for the development of protective equipment and devices. The late Walter D. Pilkey, PhD, was the Morse Professor of Mechanical and Aerospace Engineering, with courtesy positions in Plastic Surgery and Neurosurgery at the University of Virginia. He received his BA, MS, and PhD from Washington State University, Purdue University, and Penn State University, respectively. Dmitry V. Balandin, Dsc (Physics And Mathematics), is the Chair of Numerical and Functional Analysis at Nizhny Novgorod State University, Nizhny Novgorod, Russia. His areas of expertise include shock isolation, automatic control, and theoretical mechanics. He received his MS, PhD, and DSc, from Nizhny Novgorod State University, Institute for Problems in Mechanics of the USSR Academy of Sciences, and Moscow State University, respectively. Nikolai N. Bolotnik, Dsc (Physics And Mathematics), is the head of the Laboratory of Robotics and Mechatronics at the Institute for Problems in Mechanics of the Russian Academy of Sciences, Moscow, Russia. His areas of expertise include optimal control, shock isolation, and robotics. He received his MS, PhD, and DSc degrees from Moscow Institute of Physics and Technology, Institute for Problems in Mechanics of the USSR Academy of Sciences, and Moscow State University, respectively. Jeff R. Crandall, PhD, received his BA degree from Dartmouth College and his PhD from the University of Virginia, where he is currently a professor in the Department of Mechanical and Aerospace Engineering and Director of the Center for Applied Biomechanics. His research involves characterizing human response and injury during dynamic loading. Sergey V. Purtsezov, PhD, received his MS and PhD degrees from the Nizhny Novgorod State University, Russia, and is presently a research scientist at the Center for Applied Biomechanics of the University of Virginia. His research interests include shock isolation, measurement, and modeling in biomechanics. 1.1 The Structure of the Book. CHAPTER 2 FUNDAMENTALS OF IMPACT AND SHOCK ISOLATION. 2.1 Shock Loading: Basic Models and Characteristics. 2.3 The Isolator as a Control Medium: Active and Passive Isolators. 2.4 Does Isolation of an Object from the Base Always Lead to a Reduction in the Shock Load Transmitted to the Object?. CHAPTER 3 BASIC OPTIMAL SHOCK ISOLATION: SINGLE DEGREE OF FREEDOM SYSTEMS. 3.2 Limiting Performance Analysis: Basic Concept and Analytical Results. 3.3 Limiting Performance Analysis: Computational Approach. 3.5 Pre-Acting Control for Shock Isolators. 3.6 Best and Worst Disturbance Analyses. CHAPTER 4 OPTIMAL SHOCK ISOLATION FOR MULTI-DEGREE-OF-FREEDOM SYSTEMS. 4.1 Optimal Shock Isolation for a Two-Component Viscoelastic Object. 4.2 Optimal Shock Isolation for Three-Component Structures. CHAPTER 5 SPINAL INJURY CONTROL. 5.1 Description of the Model. 5.2 Minimization of the Occupant’s Displacement subject to a Constraint Imposed on the Spinal Compressive Force. 5.3 Spinal Injury Control System with two Shock Isolators. 5.4 MADYMO Simulation for the Limiting Performance Analysis. CHAPTER 6 THORACIC INJURY CONTROL. 6.2 Basic Concept of Restraint Force Control. 6.3 Limiting Performance Analysis for the Prevention of Thoracic Injuries in a Frontal Car Crash. 6.4 Feedback Control of the Elastic Restraint Force on the Basis of the Two-Mass Thorax Injury Model. CHAPTER 7 HEAD INJURY CONTROL. 7.1 Head Injury Criterion: Historical Perspectives. 7.2 Minimization of the Deceleration Distance for Constrained HIC. 7.3 Minimization of the HIC for Constrained Deceleration Distance. CHAPTER 8 INJURY CONTROL FOR WHEELCHAIR OCCUPANTS. 8.2 Optimal Shock Isolation of Single-Degree-of-Freedom System.